How do you empty your bucket? On Wednesday I was presenting Mental Health Awareness to a Group of Childrens’ Nurses. Part of the day is taken up with raising awareness of our own mental health and how we manage the stressors in our own lives. Yerkes-Dodson back in 1909 suggested that stress or pressure is vital for us to perform, but if we experience too much stress our performance levels drop quite dramatically. Recognising our stress levels and how to prevent them turning into distress is important for our work and home lives. Now we all require different levels of stress or pressure to perform effectively, therefore we all become distressed at different levels. This is best described by the stress bucket theory. We all have a bucket in which we store our stress. Now we are all born with different size buckets, and our buckets can change size throughout our lives depending on what is happening in our lives. 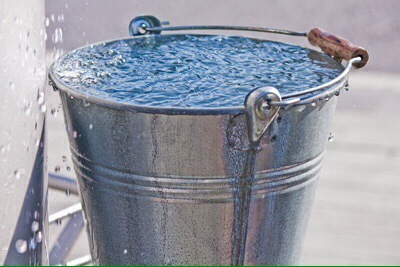 Stress fills our bucket like water, and when it gets full it overflows which results in us becoming distressed and unable to function effectively. Thankfully our bucket has a tap at the bottom that we can turn on. The tap is turned on by taking part in positive activities that we enjoy and make us happy. Now we all enjoy different activities so it is important that you choose the right activity for you that gives you the most satisfaction. Be wary of activities that involve chemicals both legal and illegal (alcohol, tobacco, marijuana, etc.) as these often give short term satisfaction along with long term stress. Now it is important to tend to your stress bucket everyday and not just empty it once it is full. Find time each day for positive activities (activities that make you feel satisfied or happy). Most days we take part in many different positive activities without noticing, therefore spending a few minutes each day toting up all the positive things that have happened in the day can be very effective. Aim for an hour of positive activity everyday, and most importantly recognise and appreciate those activities. Author Matt Smith Personal and Professional CoachPosted on February 25, 2017 2 Comments on How do you empty your bucket? Monday saw me teaching 2nd year Child Branch Student Nurses about the signs and management of dehydration, followed by causes and management of fever in children. Talking about dehydration does not always fill people with enthusiasm on a Monday afternoon, so I thought I would add an anecdote to lighten the mood and grab their attention. So relayed the story when I was dehydrated on holiday in India many years ago. After eating dodgy rice from a suspect food vendor one night I became violently ill with bodily fluids leaving me from both ends of my body for 12 hours leaving me dangerously dehydrated. The descriptions of the violent bodily eruptions raised a laugh and the students mood. Now they were happy and more optimistic about the afternoon ahead of them. As they were more optimistic they were more likely to contribute to the afternoon, ensuring I was not droning on to a bunch very bored student nurses. The afternoon went swimmingly from here on in, and when enthusiasm was waning I would bring them back to the image of me in extremis in hot and sweaty hotel room in Goa. To be honest the talking for most of the afternoon was conducted by the students as they raised and answered questions and added their own anecdotes about their experiences for dehydration and fever whilst on placement. What the hell has this got to do with coaching I hear you cry! Happiness, that is what it has to do coaching. 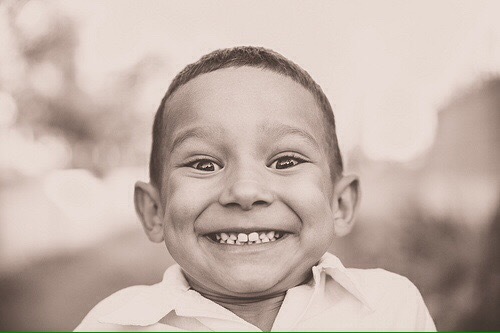 Happiness is what we all strive for if we happy we are more creative, and engaged. When you are creative and engaged you are more likely to be successful. This is scientifically proven. If you have a positive outlook and have more positive emotions than negative you will be more productive at work and have more successful relationships in your personal life. I am not saying you need to be a grinning inane idiot to be successful. In fact that over the top level of optimism will ultimately lead to distress as it can be very difficult to manage any difficult or challenging situations that you will inevitably encounter. I suppose you could call this happiness a contentment/satisfaction with what you are experiencing right now and that you are optimistic that you can continue to have this level of happiness at least in the future even if things don’t go to plan. To maintain this level of optimism you need to feel more positive emotions than negative. So think carefully about how you speak to people at work and members of your family. Give more positive messages than negative messages, not only will it make them feel good it will make you feel good. Even when people have done something wrong being positive is much more constructive. Instead of that was rubbish or you didn’t do that well, you can give your response positive angle by asking how we can do it right or better next time. I know sometimes we have to pull people up or tell them off. However it is still possible to be positive by helping them find a solution or make amends. Give it a go. When writing an agenda for a meeting make sure the ratio of agenda items is 3 positive items for every 1 negative. How much more productive was that meeting? How many ideas were generated? Then try it home with your spouse and children. It is a bit more difficult at home as you will need to increase your positivity ratio to 5:1 for it to have any effect. Work on it though it will be worth it. On the days you manage it you will notice a difference in the way the family interacts and how much happier you all feel. If any of this does make you think about how you are at home and work, then get in touch and we can discuss it more.